All the calls proved hoax. 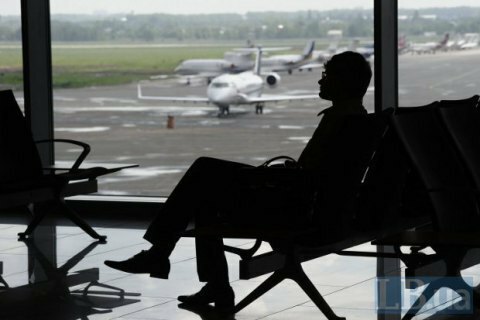 The airports in Kyiv's Zhulyany and Boryspil, Odesa, Vinnytsya, Ivano-Frankivsk, Dnipro and Antonov airports have had to evacuate people and briefly suspend operations after receiving bomb alerts. Thorough inspections by all security services proved the alerts hoax, the National Police said. At 6.10 p.m., Kyiv's Pecherskyy district police department received a phone tip-off that all stations of the subways were mined. At least one station, Syrets, was fully closed. Hoax bomb alerts have become particularly frequent lately. According to law enforcers, calls are made from Russia. In particular, bomb alerts were for two Ukrainian planes at Istanbul airport on 22 November. On 23 November, the Vasylkivska subway station and the Stereo Plaza had to be closed and checked for bombs.